Get Ready! Canada's newest hit show is coming to Alberta. 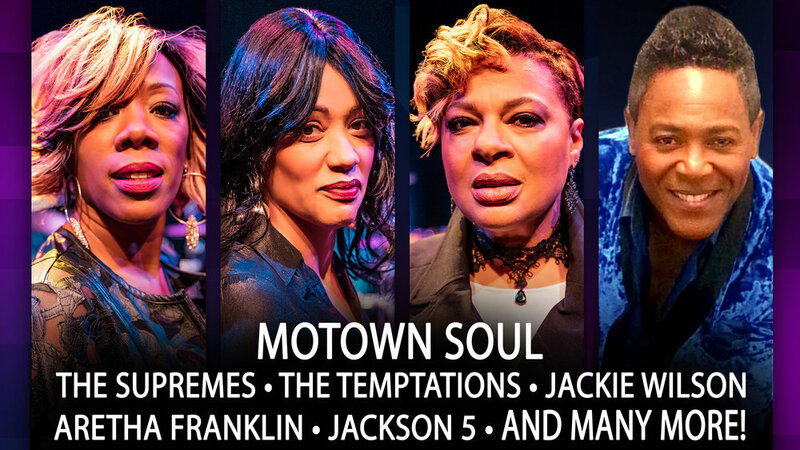 Motown Soul is a live concert experience celebrating some of the biggest names in music such as Diana Ross and The Supremes, The Temptations, Jackie Wilson, Marvin Gaye and soulful favourites such as Aretha Franklin and James Brown. This show brings you the exquisite vocal harmonies of our leading ladies, Cathy, Marlene and Amoy, performing alongside special guest performer from Las Vegas, Grady Harrell. This outstanding cast of performers will deliver a powerful and soulful performance as you have never heard or seen before, bringing you back in time to that special era from the 60s when music and soul came together. Don't miss this highly captivating performance accompanied by a live band. With songs like “Higher and Higher”, “My Girl”, “You Can’t Hurry Love”, "Ain't No Mountain High Enough", “Natural Woman” and many others, you’ll be singing and dancing all night long to this timeless music.